What makes the Homes at Acadia Lane Green? 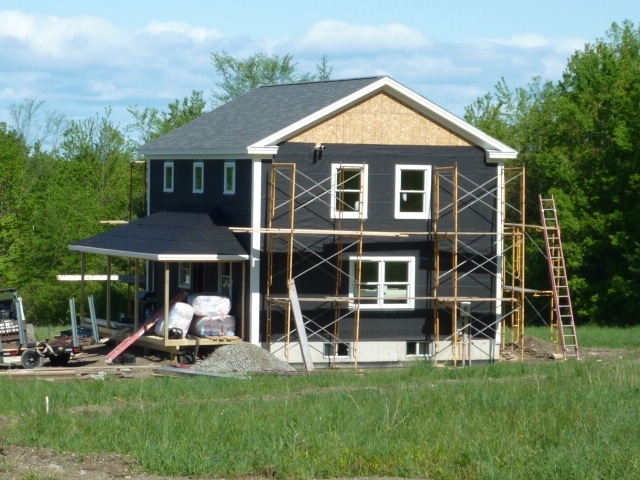 By David Carse, Hart Hill Design-Builder of Acadia Lane homes How can a home site be Green? The location and orientation of the homes were chosen to make use of the natural drainage pattern and the native tree hedgerows which were in place from the time the land was farmed. The access drive follows the edge of the native tree lines, which serve as natural dividers between the lots. Parts of the old pasture stone walls are still in place in front of the houses. The homes were placed with attention to passive solar gain and sheltering from wind, and they were built at the edge of the open portion of each lot to preserve both the tree lines and the open character of the former pasturelands. What is Passive Solar Gain? Passive Solar Gain in a building design that collects stores and distributes solar energy. 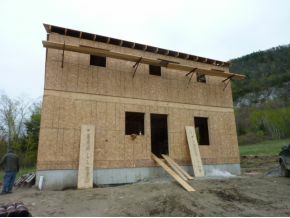 The concrete basement walls of the Acadia Lane homes are fully insulated thereby creating a passive thermal mass. A majority of the windows are south-facing high efficiency windows and help to take advantage of winter heat gains. In the summer, the substantial roof overhangs shelter windows from the sun. Natural tree lines protect the houses from winter winds, all this without an expensive, complex or high-maintenance active systems. These homes also feature Low E (low emissivity) coating on the window glass. This coating is like a one way street which allows heating rays from the sun to pass through into the house, while blocking harmful UV rays, and at the same time blocks heat from escaping from the inside out. Stay tuned for more Green details about Acadia Lane. 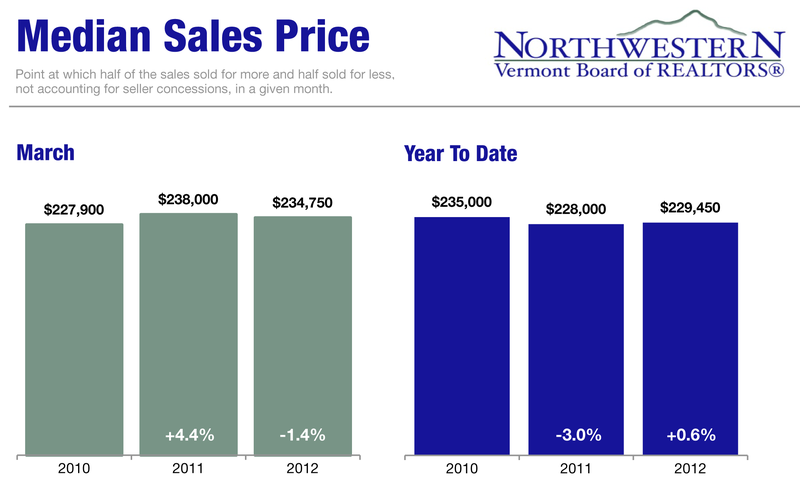 The Northwestern Vermont Board of REALTORS has released its real estate market statistics for March 2012. 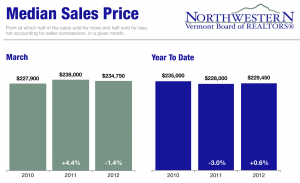 The information is a result of data contained in the Northern New England Real Estate Network. This report covers Chittenden, Franklin and Grand Isle Counties. New listings in the northwestern Vermont region increased 21.7% to 264 listings. Pending sales were up 36.6% to 179. Inventory levels continue to shrink, down 5.9% to 1,053 units. Prices remain fairly stable. The median sales price in the three county regions saw a decrease of 1.4% from last year at this time. 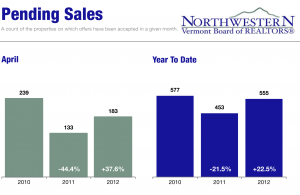 The Spring housing market is definitely here, said Kathy Sweeten, executive vice president of the Northwestern Vermont Board of REALTORS. Properties priced right are moving quickly.